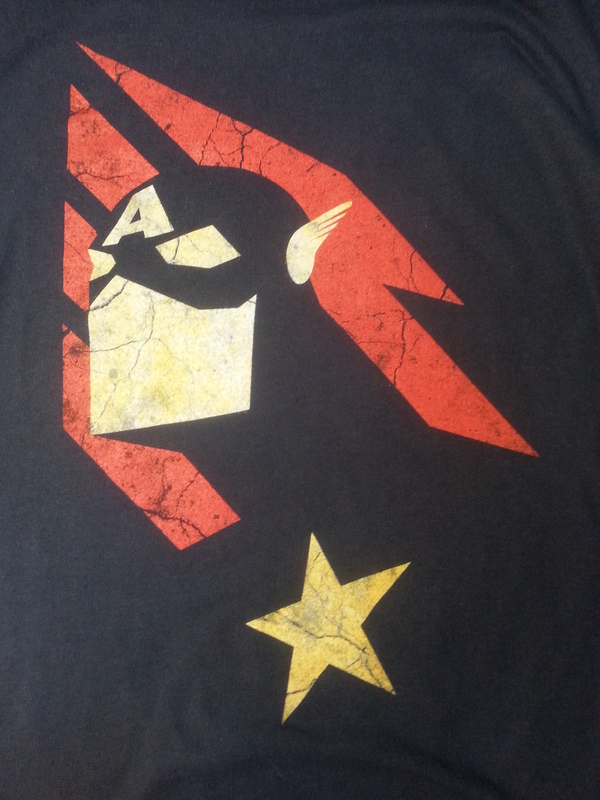 In case anyone is unaware, I might have just a little, tiny comic crush on Captain America. It didn’t take me long to plug the picture into my program and create a chart from it. I went with a simple three color technique: a very pale yellow for the face, eyes, and wing, red, and gold and used a 14-count AIDA cloth in navy blue. So basically, a five dollar trip to Jo-Ann or Hobby Lobby. 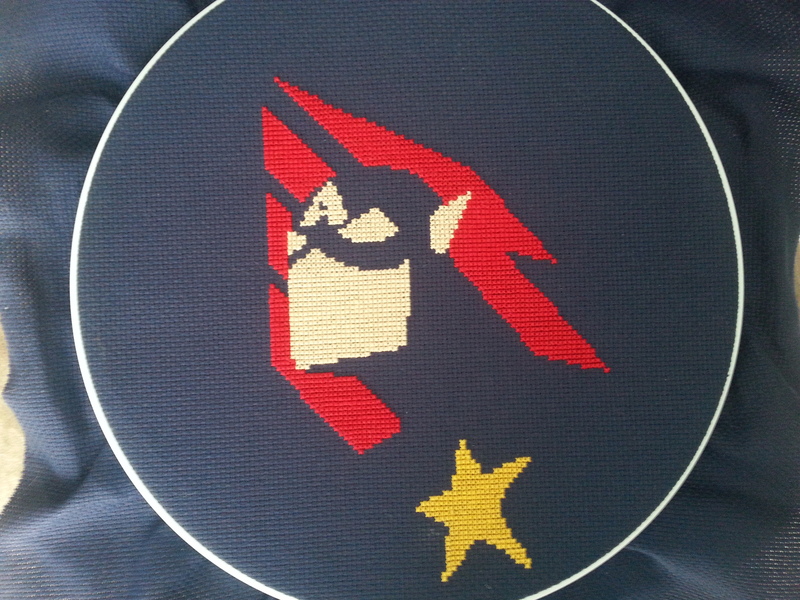 Unlike the never-ending Street Fighter x-stitch, I got this sucker done in a week — about 12-15 hours. I’m a sucker for the minimalist looks and couldn’t be happier with the way it turned out. It’s already framed and ready to make my room o’ geekiness even more geeky, but really, getting a picture of a frame that doesn’t have a horrible reflection bouncing off of it is nearly impossible. Wanna make your own? Of course you do. Here’s a chart for you over at DeviantArt.